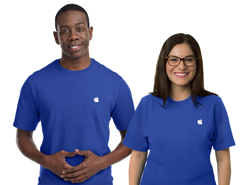 Service and support from the people who know your Mac best For up to three years from your computer’s original purchase date, the AppleCare Protection Plan gives you direct, one-stop access to Apple’s award-winning telephone technical support for questions about Apple hardware, OS X, iLife, and iWork. The AppleCare Protection Plan provides global repair coverage, both parts and labour, from Apple-authorised technicians around the world. Whether you’re sitting in the comfort of your home or office or on the go, you can get direct access to Apple experts for questions on a wide range of topics.